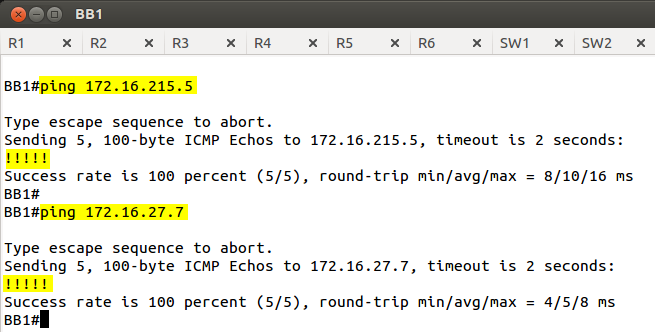 R3 is the edge router for subnets 172.16.x.0/24 and 10.0.x.0/24. Ensure BB1 can reach all destination behind R3. 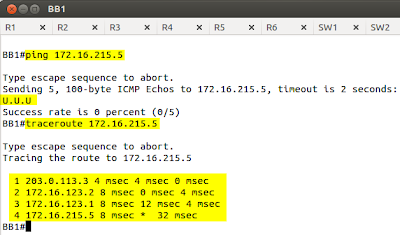 Use static route on BB1 in order to accomplish the task. 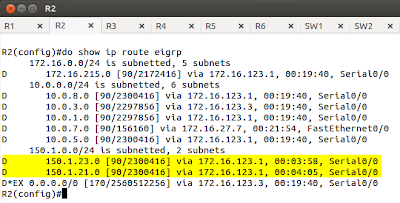 Configure R3 in such a way that traffic sent from BB1 (any source address) destined to any subnet behind R3 is being blocked except for traceroute. 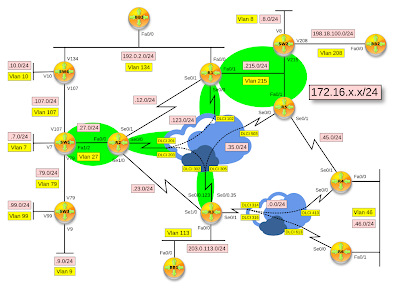 Traffic originated by 172.16.x.0/24 or 10.0.x.0/24 subnets towards BB1 (any destination address) should be allowed back in. Use two ACLs to accomplish the task (one inbound and one outbound ACL).
! 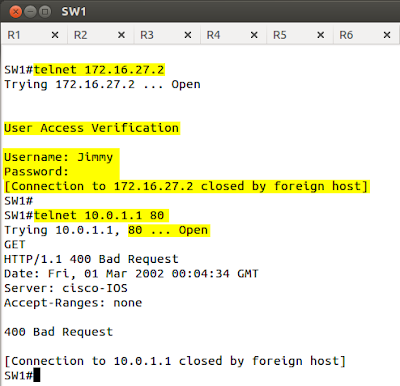 For testing purpose let's enable HTTP server on BB1. Pic. 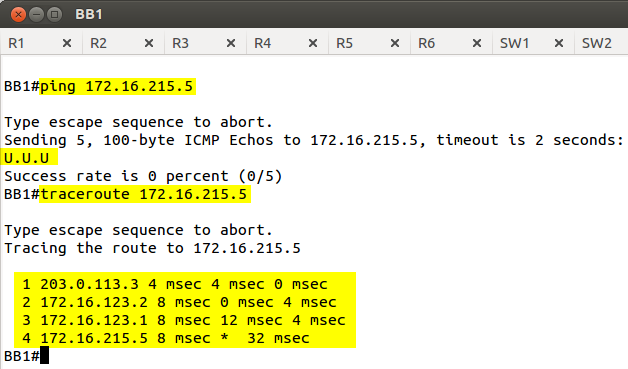 2 - BB1 Connectivity towards 172.16.x.0/24 and 10.0.x.0/24. permit udp any 10.0.0.0 0.0.255.255 gt 33433! Pic. 3 - Traffic from the INSIDE towards BB1. Pic. 4 - Stateful Entry Created on R3. Pic. 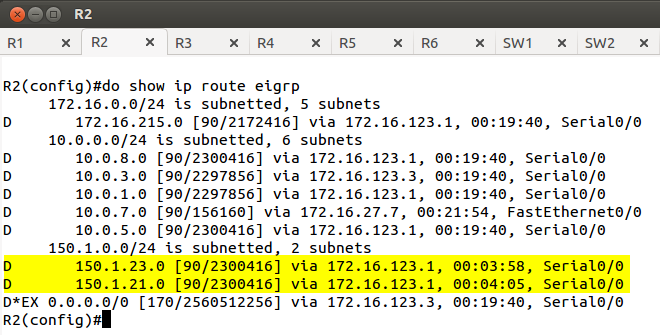 5 - Traffic Originated from BB1 towards our INSIDE subnets. 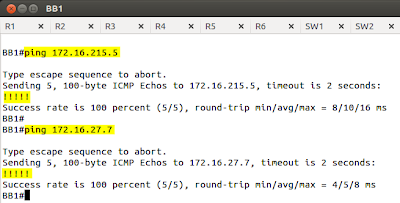 Traceroute in Cisco IOS sends UDP datagrams starting at port 33434 with the ttl max 30 hops. 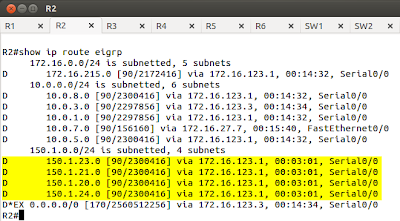 Advertise the loopback subnets above into EIGRP. 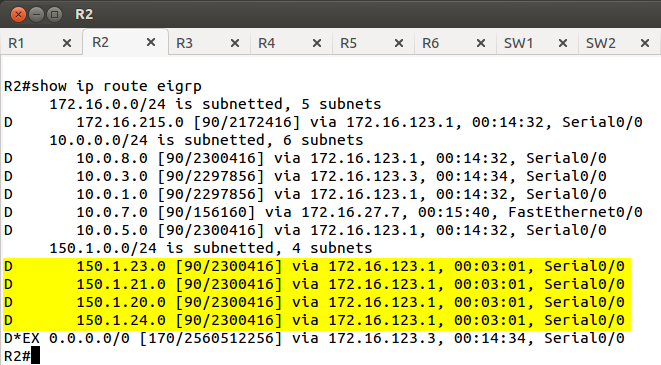 Configure ACL packet filtering on R1 so that the source 10.0.5.0/24 (R5' Lo0) cannot have connectivity to the subnets configured in Task 1. Use only two ACL statements to accomplish the task. 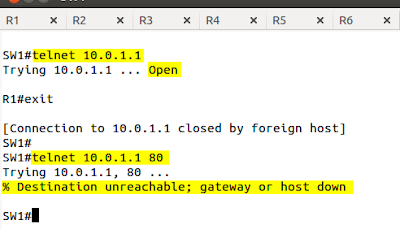 Configure ACL packet filtering on R1 so that the source 10.0.5.0/24 (R5's Lo0) cannot have connectivity to the subnets configured in Task 1. Use only two ACL statements to accomplish the task. Pic. 2 - Routing Table of R1 (loopbacks advertised). 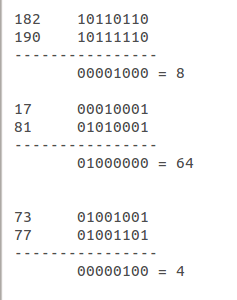 Group bytes 1-3 and find the bits that do change in order to find the wildcard mask. Pic. 3 - Wildcard Mask.